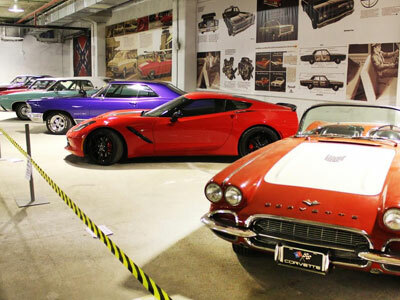 Guests of Saint-Petersburg, rent our apartments until December 31, 2015 have a unique opportunity not only to visit the excellent Waterpark Piterlend, but also to visit the interesting exhibition Muscle Car Show, located in one of the underground Parking complex. Waterpark Piterlend (not to be confused with Piterlend 2 or other water rides in the city) have long won popularity among the inhabitants of the Northern capital, as it gives everyone a great opportunity to visit 1 day "in Sunny" without leaving St. Petersburg. Under the glass dome of this wonderful place is not only a huge number of water rides, speed slides and alloys on cheesecakes, but also elegant restaurants and cafes with exotic menu, a water Playground, a sauna complex with steam rooms all parts of the world. However, until 31 December Piterlend opened and terrific exposure for real men who appreciate powerful engines, stylish and eminent car - Muscle Car Show! Radiant, luxurious, aristocratic, graceful and powerful cars will not leave You indifferent! details and tickets, You can always check with our Concierge Hi-Tech Home by phone 8 800 1006817!